The paintings above are available as originals, prints and cards. Please email me for more information. More Beltaine Musings can be found here. The Vine symbolizes both the heights of joy and the depths of wrath. It is the vintage season symbolic of peace and abundance. 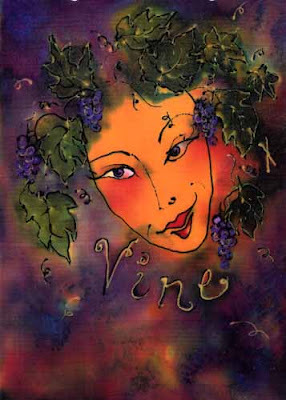 The wild growing Vine rules inspiration, imagination, poetry and imagery. 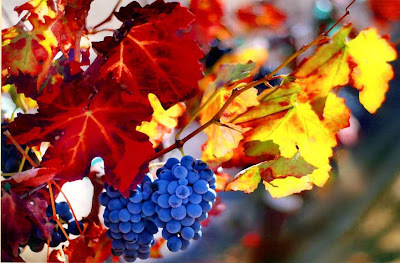 The essence of all contained within the Vine is retained, in strength, in her wine. It is sacred to Dionysus, Osiris, and Bacchus and its five pointed leaves are sacred to the White Goddess. Tonic healing is also related to the vine. 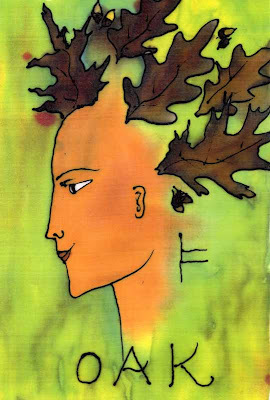 The Vine painting above was part of a series of silk paintings that I turned into a Celtic Tree Oracle deck that I currently use for Soul Readings. The Autumn Equinox is celebrated this month marking the point in the Wheel of the Year where the nights begin to grow longer once again. This is the harvest season, sacred to Demeter, goddess of the harvest. This is an excellent Moon to gather knowledge and inspiration for a solution, direction or concept you are working on. 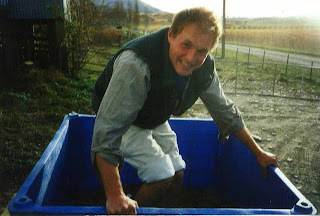 Let us join in the harvest and share in the joy of the first wine of the season. To read more Celtic Moon posts please click here. 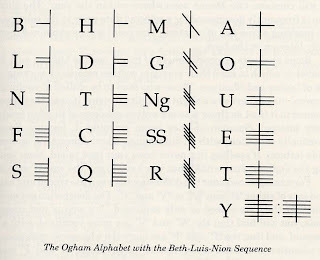 During that time period history was primarily handed down orally and the Ogham alphabet was also used as a hand alphabet or signal for silent communication at fairly close distances. Fingers of either hand were used along with the bridge of the nose which acted as the center or dividing line. The Celtic word for Oak is "Duir" and the name "Druid" comes from a combination of the word "Duir" and the word "wyd" which means "to know." In Celtic countries the Druids often worshiped in sacred Oak groves as the celestial Oak also symbolized the god or male principle. The Oak Moon is the seventh Moon, also known as The Moon of Strength and is associated with the Summer Solstice (in the Northern hemisphere) and the Winter Solstice (in the Southern hemisphere). This Moon is dedicated to Janus, the two-faced god, for in his maturity the Oak King looks in both directions of the year at once, as does the Sun. The word for Oak also means "door" in many languages and this Moon is known as the hinge of the year. You can celebrate this Oak Moon by recognizing the sacred male and female within yourself, for all of us are children of both the Sun and Moon. We are both strong and steadfast like the door itself, yet we can open and close with the help of our hinges. To learn more about the mysteries of Celtic Tree Magic I recommend the book "Year of Moons, Season of Trees" by Pattalee Glass-Koentop. The first image pictured above is from my Celtic Tree Wisdom deck which consists of 18 oracle cards. Find more oracle decks here.